The world of Terry Pratchett was wondrous and wide. It ranged from radio to television to stage to articles to books. It encompassed his beloved novel with Neil Gaiman, Good Omens, his YA fiction, his amazing standalones like Nation, and of course, Discworld, the flat world on the backs of several giant elephants standing on the back of the giant turtle swimming through space that Pratchett visited in numerous books, films, etc. Through Discworld, Pratchett lovingly satirized everything, with such deft, warm strokes that he could get you to laugh and cry at the same time and then go hug your dog. He was a national treasure of Britain, which knighted him, and one of the top twenty bestselling fiction authors in the world. When Pratchett announced that he had been diagnosed with early onset Alzheimer’s disease in 2007, it was a deep blow to all in SFFH fandom. 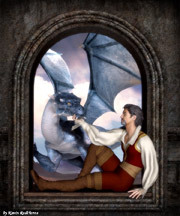 In the years that followed, Pratchett stumped bravely for more investment in research of the disease, led conversations about it and end of life issues, and wrote more novels as much as he could in the ways that he could. It lulled us into thinking that there would be more time. But there wasn’t. We have to let him go. But Discworld, we never have to let that go. It lives on in hearts and minds; its many wonderful characters are ours, his gift to us. It’s like the color of magic, always with us — we can just sort of see it if we don’t look directly at it, sort of greenish-purple. So thank you for that, Sir Terry. Thank you for the words. 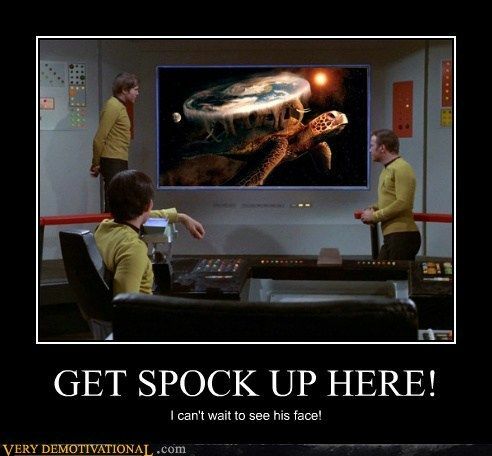 *And yes, Leonard Nimoy left us as well after a long bout of ill health. I don’t even know how to do that one, so I thought this combination was appropriate and beautiful. **Some people feel that letting go is too soon. 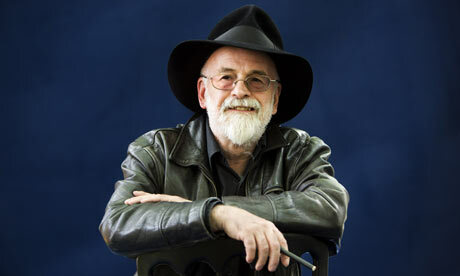 There is a petition to Death to give Terry Pratchett back. It has over 10,000 signatures so far, so you can check it out if you like. This analysis of mine has been going on since 2012, which media up-played as the year of the woman in film, because there were quite a few movies that year headed by women, including big action ones. As we know, part of that media coverage was simply hype – studies show that women are still hugely behind in grabbing major roles, and behind the camera it’s even worse, except for maybe producers. But it was also a valid reflection of shifts due to the trickle, trickle progress of getting Hollywood to accept and happily exploit the box office power of women, to an audience that largely doesn’t really care if it’s a man or a woman, (or even another gender,) helming a film. The year 2014 was, like 2013, a year mainly of sequels, old action franchises and superhero films, with Marvel dominating again (more on that later,) none of which tend to favor women as leads. So it wasn’t a ground-breaking year for actresses, like 2012, but it was a consolidating year, which did confirm that women can bring the box office themselves and are increasingly useful in ensemble action films. The bulkhead that was established still remains, with some interesting trends shaping for up-coming years. Women had high impact roles in many successful action films this last year in which they weren’t the leads. In the superhero arena, Marvel again made good use of Scarlett Johansson as Black Widow in the hit Captain America 2: The Winter Soldier, and employed go-to geek movie star Zoe Saldana and Doctor Who favorite Karen Gillan, plus a cameo from Glen Close, in the big summer domestic winner, Guardians of the Galaxy. In their ancillary franchises, we had Emma Stone in Amazing Spiderman 2, and X-Men: Days of Future Past making key use of Jennifer Lawrence, Halle Berry, and Ellen Page. Women were front and center in most of the big sequels: 300: Rise of an Empire, Dawn of the Planet of the Apes, Fast and Furious 6, How to Train Your Dragon 2, Rio 2, The Purge 2: Anarchy, Horrible Bosses 2, Muppets Most Wanted, Night at the Museum 3: Secret of the Tomb, and the biggest movies globally: Transformers 4: Age of Extinction, and The Hobbit: Battle of the Five Armies. They also had critical leading roles in hits Gone Girl, Interstellar, Hercules, Monuments Men, Non-Stop, The Equalizer, The Maze Runner, the rebooted Mutant Ninja Turtles, The Lego Movie, Big Hero 6, Noah, The Imitation Game, Selma, Neighbors, The Nut Job, Dracula Untold, Into the Storm, Blended, The Boxtrolls, and The Book of Life, and Emily Blunt bluntly stole hit sci-fi actioner Edge of Tomorrow from Tom Cruise. But while women have become an ubiquitous if not always powerful component of the big action films, playing more than just “the Girl,” how about when they lead the movies? The proven player this year again was The Hunger Games: Mockingjay, Part 1, the next to last installment of the mega-franchise, starring red hot Jennifer Lawrence. Hunger Games 3 won the U.S. domestic box office for the year, and is still making the rounds of foreign box office for over $751 million worldwide so far. That didn’t make the billion club or yet beat installment #2 of the franchise, Catching Fire, but it definitely made its makers happy and sets the stage for the last film in the story to be quite huge. Divergent, considered to be The Hunger Games’ little sister of sorts, was put out as a mid-budget film in the relatively quiet period of March, starring Shailene Woodley. Other recent YA series adaptations had done only middling, and the female led The Vampire Academy, out just before Divergent, had flopped, but Divergent’s high action dystopia brought in over $288 million. Another YA adaptation with a female lead, If I Stay, brought in over $78 million on a miniscule budget, and the buzzy YA romantic drama, The Fault in Our Stars, took in over $305 million on only a $12 million budget.